At Carson Elevator, we have been a locally owned and operated business since 1983. We have extensive experience in elevator repairs, elevator maintenance, and installing elevators for businesses and residences throughout the community. We pride ourselves on providing extraordinary customer service and high quality elevator services in Salt Lake City to everyone who visits us. We operate as a non-proprietary elevator services company, which means that elevator equipment must be serviceable and maintainable. The elevator manufacturers that we work with provide direct communication and support to our elevator contractors and technicians, and to the customer. We offer a range of elevator maintenance and elevator repair options, and our high quality elevator services are also affordable. Our elevator maintenance plans significantly cut down the need and cost for elevator repairs or new elevator installation. We don’t require our customers to sign a long-term service contract, so our customers enjoy the freedom to find the best elevator maintenance prices in the area. We also offer a variety of elevator types, including commercial elevators, residential elevators, dumbwaiters, and accessibility elevators. If you are considering installing a new elevator in Salt Lake City , you should first consult with an elevator designer, contractor, and technician. Installing an elevator in your home is a complicated process that should only be undertaken by an experienced, high-quality elevator contractor who specializes in residential elevator services and installation. Check out this video for an up-close look at how to install elevators in homes. When you watch the clip, you’ll learn about how an elevator shaft and residential elevator are designed and constructed to fit within a home and improve the home’s level of comfort and accessibility. Installing a residential elevator in Salt Lake City will make your home more comfortable, functional, and accessible for anyone with mobility problems. Residential elevators have become increasingly popular as families have discovered how beneficial they are for family members who have trouble with stairs. 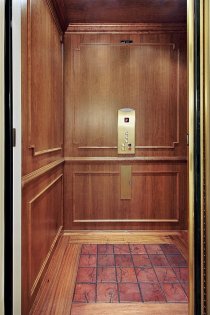 Keep reading to learn more about accessibility elevators for residential homes. There are three types of residential elevators that can be installed in homes. Hydraulic elevators are powered by electric motors and pistons, and require a lot of space and the installation of a machine room. Traction elevators don’t require a machine room, and operate using a counterweight to slide up and down a track. Traction elevators are useful as residential elevators because they are easy to integrate into a home. Pneumatic elevators are a more recent invention, and they use a pneumatic tube and air pressure to move up and down. These residential elevators are small and won’t necessitate the building of an elevator shaft or machine room. A residential elevator will dramatically improve your home’s functionality. If you or someone else in your household has limited mobility, you won’t have to worry about safety when walking up and down stairs. 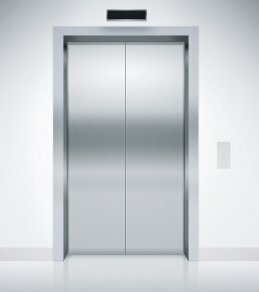 Elevators are much safer than stairs overall for both the elderly and children. You can reduce the risk of common household accidents that may cause serious injury. Residential elevators also take up less space in the home than stairwells do, so you can maximize the open space in your home. The cost of installing an elevator in a home varies depending upon the type of elevator, and the size and structure of the home. If you are installing an elevator during the construction of a new home, you may pay less than if you are retrofitting your home to accommodate a new elevator installation. An elevator alone can cost between $15,000 and $25,000, and you’ll also have to pay the cost of installing an elevator shaft and machine room. If you’re considering installing an elevator in Salt Lake City in your home, you may be wondering what type of residential elevator to choose, and how much your elevator installation and elevator maintenance will cost. This depends upon the type of elevator you choose, how many stories your home has, and what the layout of your home is. Here is some basic information about installing elevators in homes. Installing a residential elevator or accessibility elevator will make your home much more comfortable and functional. If anyone in your household has mobility issues, an accessibility elevator will make it much easier for him or her to move easily throughout the house. Residential elevators are much safer than staircases, whether you have children in your home or elderly relatives. You won’t need to worry that anyone will suffer from an injury due to a fall on your home’s stairs. The two most common types of residential elevators that are available today are hydraulic elevators and pneumatic elevators. Hydraulic elevator maintenance and installation is somewhat expensive, and you will also need to build a machine room in your home to operate the elevator. Pneumatic elevators are smaller and very aesthetically pleasing. Elevator installation is relatively quick, and elevator maintenance is less expensive. Because pneumatic elevators are made out of glass, they look modern and contemporary and can improve the aesthetics of your home. The cost of installing an elevator in your home depends upon the type of residential elevator that you choose, how many stories your house has, and what the layout of your home is. On average, a residential elevator installation will cost at least $20,000. You will need to pay a contractor for carpentry work and the creation of an elevator shaft or machine room. You may also have to pay for permits for construction and installation. Installing an elevator will cost more if the elevator requires higher ceilings or access to more than two floors.